EHF Marketing GmbH, the marketing arm of the European Handball Federation, has announced new TV deals and contract extensions ahead of the start of the new season. 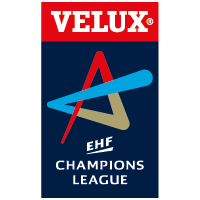 The VELUX EHF Champions League begins on Thursday 27 September 2012 with the first matches of the Group Phase as 24 teams compete to make it to the VELUX EHF FINAL4, the culmination of the season on 1/2 June 2013. The Women’s EHF Champions League starts on 13 October 2012. The attractive package on offer to television stations from both the men’s and women’s competitions includes top-class action from the best teams across Europe, ‘Match of the Week’ with full English commentary from one match in each round and ‘Rewind – The Handball Show’ with highlights and features from the VELUX EHF Champions League. In France, USA and Canada a new deal brokered by MP Silva, one of the world’s leading sports media companies, has seen a contract signed with Al Jazeera’s recently launched beIN SPORT to show both the men’s and women’s competitions. New agreements have also been signed in Slovenia with SportKLUB for all matches of the Slovenian teams and top matches from the competition, as well as with ONT, the second channel in Belarus, which will show all matches of HC Dinamo Minsk. In FYR Macedonia a new deal has been completed with MRT. Super Sport in Africa will also show highlights and the VELUX EHF FINAL4, in a deal brokered by the sportsman media group. Contracts have been prolonged with: Setanta Sport in Ireland and Africa; RTS 2 and Arena Sports in Serbia showing all of RK Partizan Beograd’s matches; HRT in Croatia showing all the matches of HC Croatia Osiguranje Zagreb as well as with NTV on Russian TV and the Russian streaming platform, Start TV. Coverage of the competitions will also be enhanced with the announcement that all matches of the VELUX EHF Champions League and Women’s EHF Champions League will be streamed live on a relaunched ehfTV.com, the internet TV platform of the European Handball Federation. The new channel powered by LAOLA1.tv will go live on Thursday 27 September with the opening games of the new season.